GL Lighting is proud to present our Thin Body Open Channel Fittings for single or double tube. These are available in 4 Ft and 5 Ft. Our fittings are powder coated. A SABS approved (SANS 60598-2-1:1979) high quality and robust commercial type fitting, wired for LED type tubes. Fittings for LED tubes do not require a ballast or a starter. One sided power. This range is available in 4ft and 5ft and holds a T8 tube with G13 end caps. Refer to the tube light section on our website for our range of LED tubes which includes Standard Series, Premium Series and Premium + Series. Our tubes are manufactured in Edenvale, Johannesburg, Gauteng, South Africa. We supply LED fittings to the whole of South Africa including Cape Town and Durban. We also supply fittings to our neighbouring countries including Zimbabwe, Botswana, Namibia, Mozambique and Zambia. GL Lighting is proud to present our Wide Body Open Channel Fittings for single or double tube. These are available in 4 Ft and 5 Ft. Our fittings are powder coated. An imported Standard range of fittings which offers a cheaper alternative to the imported commercial range Fittings. Fittings for LED tubes do not require a ballast or a starter. One sided power. 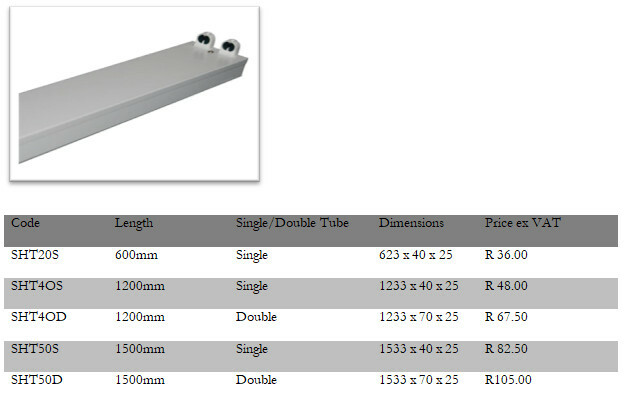 This range is available in 600mm (single only), 1200mm and 1500mm for single and double T8 Tubes. 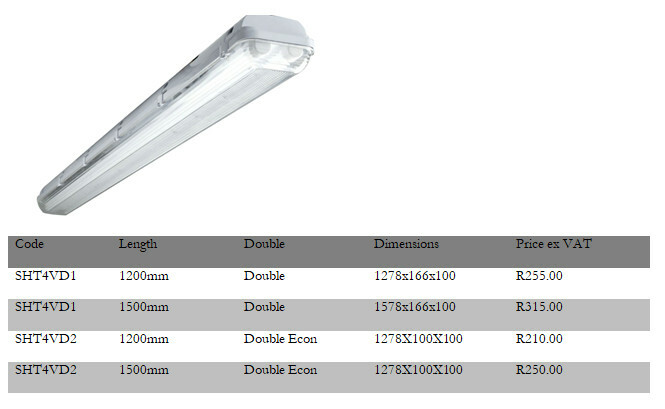 Refer to the tube lights section on our website for our range of LED Tubes which includes the Standard, Premium and Premium + Range tubes which are manufactured in Edenvale, Johannesburg, Gauteng, South Africa. We also supply fittings to our neighbouring countries including Zimbabwe, Botswana, Namibia, Mozambique and Zambia.